Hey there Everyone! Do you have or are you interested in having a Toro STX-26 Stump Grinder? Do you know how to properly use it? Well, today we would like to share a tutorial on the proper procedure of how to start one up. Click here for an informative instructional video starring our very own service manager, Edyson! It's time for another Feedback Friday post! Today's featured reviews come from 2 happy Ebay customers who purchased some diamond blade saws that we are selling. The first one is for a pack of (10) 14" turbo diamond blades and the second one is for a pack of (10) 12" AK12T diamond blades. If you're interested in buying, check us out on Ebay! As a top rated Ebay seller, we strive to make our customers happy with excellent customer service. If you have previously been one of our Ebay customers, be sure to leave us a comment and a rating. We'd love to hear from you! 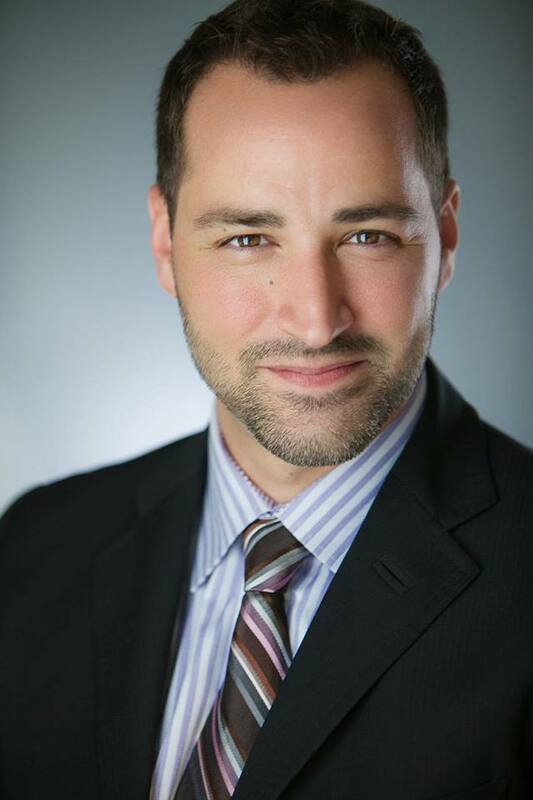 Vote for Anthony Durante for ARA Northeast Region Director! Building and strengthening the dealership network. Continued education and programs for rental houses. Providing relevant feedback to ARA from Region 1 rental houses. Promoting and recruiting for Young Professionals Group. Building rental house awareness through social media. "I would like to offer on a wider scale the level of commitment to ARA by being elected to the Region 1 Director position. I believe that with my experience, knowledge, dedication, hard-work and background diversity, I can offer great value to the association, region, rental houses and business owners and staff." New stickers for our equipment! Take a look at these awesome vertical stickers we got! 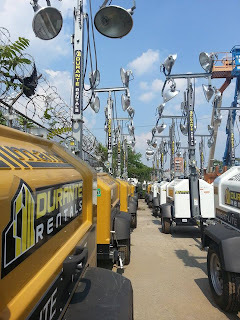 As you can see from the pictures below, we've been on a tagging spree of all our equipment, including the light towers we recently got in (view the previous post about them below)! Don't they look great? These stickers really help our equipment to stand out from the rest since they can be placed high up on tall machines. So be sure to look out for our equipment! Hey everyone! We have added a bunch of new Allmand light towers from the Night-Lite Pro II- LD series to our fleet and they were recently rented out to Citifield to light the MLB Home Run Derby and the All Star Game! In fact, the picture below was taken by one of our customers at the All Star game. The Night-Lite Pro II series offers unique features which makes serviceability much easier. For example, the newly designed plug-in light ballast assemblies are fully accessible with the doors open and may be easily removed for service. Another unique feature is the molded poly “gull-wing” style doors. Not only are these doors impact-resistant and rust-proof, they also offer full access to all major service components in the enclosure. These are just a few of the awesome features that this light tower posses. For more information or if you'd like to check one out, feel free to stop on by! Hello everyone! 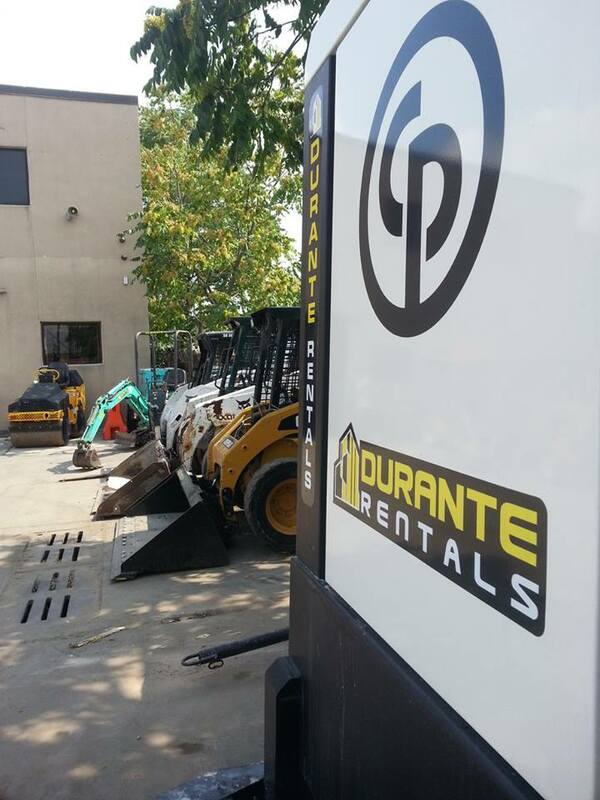 Durante Rentals would like to wish everyone a Happy July 4th! 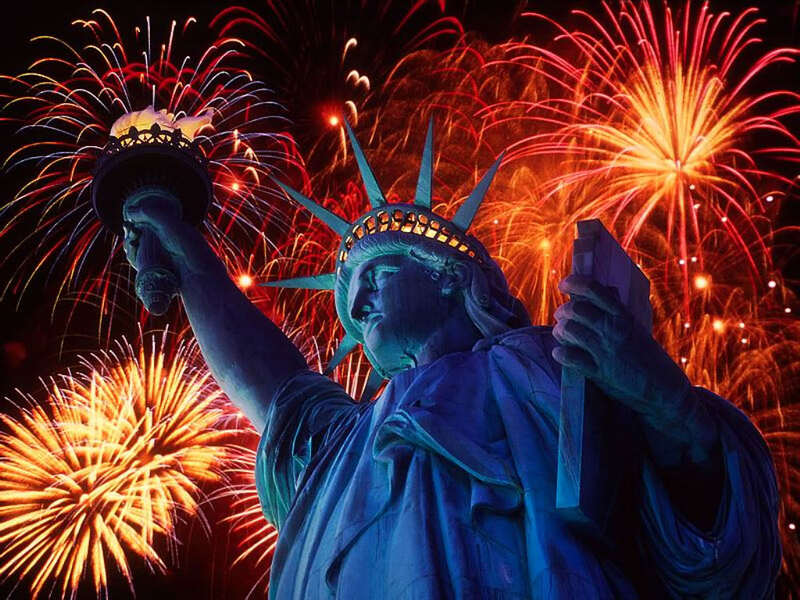 Enjoy the day with your family and friends and be sure to catch the amazing fireworks at night!